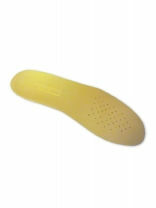 Regenerated leather insoles to be used as a base insole for additions of padding and coverings. 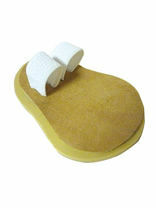 Chamois covered toe props with Metluxe adjustable loops to provide comfort and support to your toes. Also irradiates pains and any pressure pains. 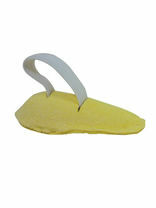 Chamois covered latex foam with an elastic net loop. 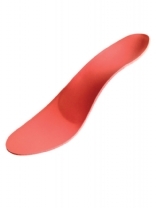 Designed to support curly or retracted toes and help relieve pressure and pain. 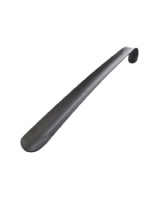 17" strong, smooth plastic shoe horn to manoeuvre the foot into boots or shoes. Black only. 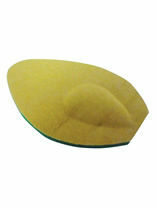 Poron cushion insoles can be used alone or as a base for appliance manufacture. 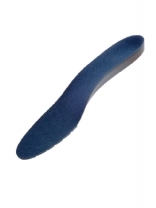 A moulded construction with an upper of open cell foam, providing effective cushioning and a base of denser foam, providing support without losing the suppleness of the insole. These heel lifts have been designed by professional clinicians, for an economical and instantly adjustable ready-made heel raise. 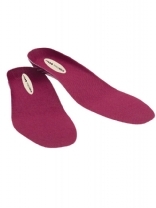 Unique peel-away layers enable the heel lift to reduce intervals of 3mm, with a velvet fabric cover. 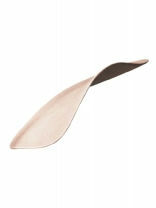 The tapered leading edge on the underside of the heel irrespective of the number of layers removed, and the radius of the back edge. 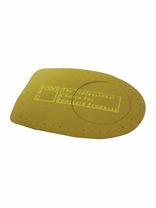 Leather covered rubber valgus pad with self adhesive base. 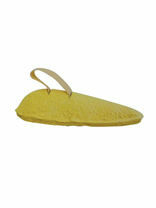 Can be stuck to either insole or directly into the shoe. 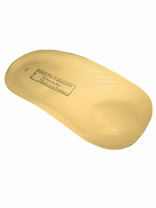 EVA insole to provide additional support and comfort for patients requiring mild to moderate • Biomechanical control. • Deep heel cup. 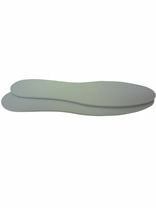 • Moulded EVA insole base. 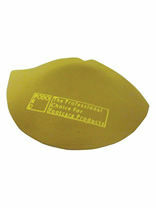 • Soft textured top cover for improved grip and comfort. A leather covered latex cushion designed to give relief to tender heel conditions with the added benefit of a removable centre to give extra relief in severe conditions. 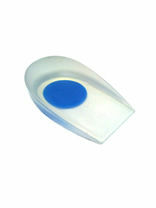 This is two products in one - a toe trainer and regulator for one or two toes and an extremely effective forefoot cushion. Quick and easy to use, prescribed in minutes. A flesh coloured Process Top Cover offers enhanced comfort, combined with a firm blue Process base for additional support. 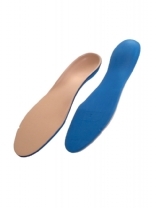 A leather 1/2 insole with an in-built metatarsal support that gently lifts the metatarsal arch to relieve ball of foot tenderness. Leather covered lightweight acrylic support with built-in heel cushion, valgus support and metatarsal pad. 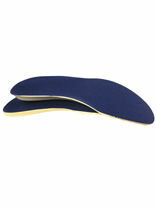 Designed to relax muscles, ligaments and tendons and provide relief from fallen arches and splay foot problems. 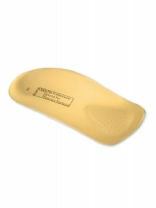 A heavy duty support manufactured in lightweight “Durasoft” acrylic, incorporating a metatarsal pad and finished with a high quality top cover. 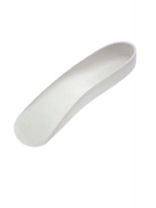 Physio Shock Heel Lifts are specially designed to relieve heel pain, joint pain, knee pain and back pain caused by shock waves which are generated every time you take a step. 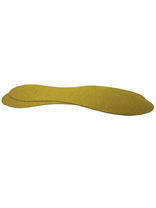 Also alleviate pain caused by Heel Spurs, Calcaneal Spurs and Plantar Fasciitis. Men(Large), Women(Small). 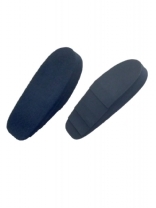 A full length heavy duty support manufactured in lightweight “Durasoft” acrylic, incorporating a metatarsal pad and finished with a high quality top cover.